Some things I plan quite well. Others, not so much. For an example of the latter, take this weekend and the Carrollton Trails 5k. I haven’t run in a timed race for roughly a year, strike one. Strike two is my total lack of endurance training since a 5 minute warmup on the elliptical doesn’t count. Strike three is the worst of all. I decided at the last second to run well after committing to my workout cycle for the month. Squats and deadlifts at 5pm on Friday…race at 8am on Saturday. I’m either an idiot or a masochist. Everyone lining up for the 8am start. At 8am sharp the race began with all the fast people up at the front and me somewhere near the front of the rear. Crisp morning air felt wonderful as the mass of people at the starting line started to thin out. The path was slightly downhill and went along one of the greenbelt paths in our town. As a result the scenery was often idyllic with streams, lakes, trees and reeds making our progress. This was a family friendly run which meant that kids and even dogs were welcome to partake. For the record, not one dog passed me. I should point out that my spine was recently adjusted which eliminated two of my biggest problems in running; discomfort and reduced breathing capacity due to spinal twist. There was no lumbar or knee pain and even with the leg workout less than 24hrs prior, there was no fatigue in the actual muscles. Normally after a mile, I have to stop and stretch lest my lower back reach up and smite me, but not this time. The mile markers fell one by one and there was even enough gas in the tank to light the burners and sprint across the finish line. If you have problems running, consider having your body alignment checked and corrected. You may assume your body isn’t built to run or lift or whatever but its possible that your parts aren’t lining up correctly. I used to hang from a pullup bar and see my hips and legs twist of their own accord like a tangled telephone cord. All the stretching in the world didn’t help which should have been a sign to think beyond the trainer toolbox (it’s always harder to assess yourself than someone else). Before you know it, you may be setting personal records on foot. 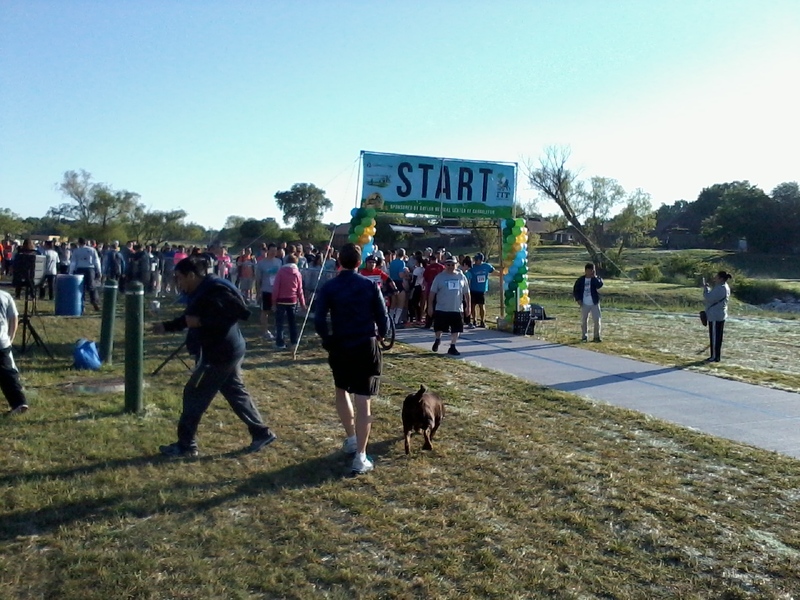 Proceeds from the Carrollton Trails 5k go towards building a special needs soccer and baseball field in Carrollton, TX.